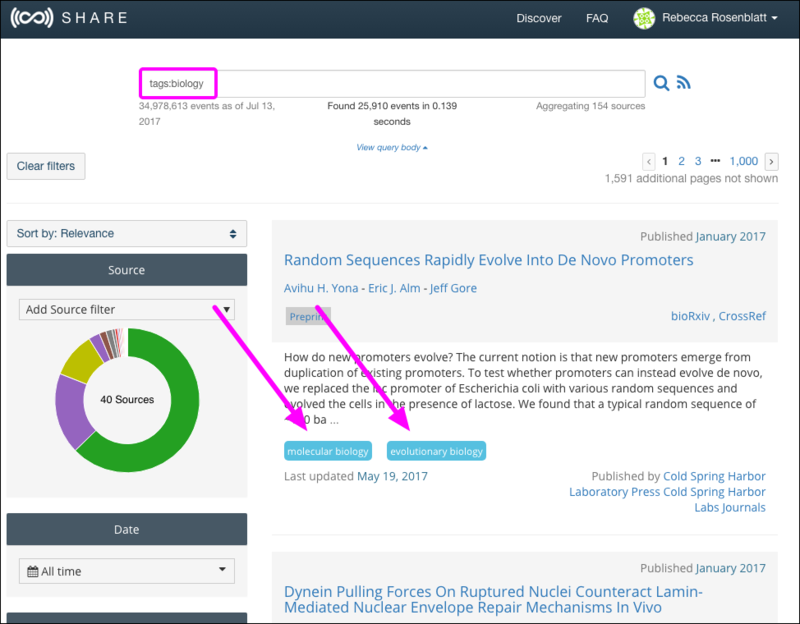 Using an RSS feed, you can receive updates when new preprints are added to a preprint provider. Once you've generated the RSS feed, you will need to use a feed aggregator, such as Feedly to receive updates. While we don't directly offer RSS to email services, there are a variety of free tools available that will provide this functionality such as Blogtrottr or using Feedly along with IFTTT to send updates to a variety of locations, including email. 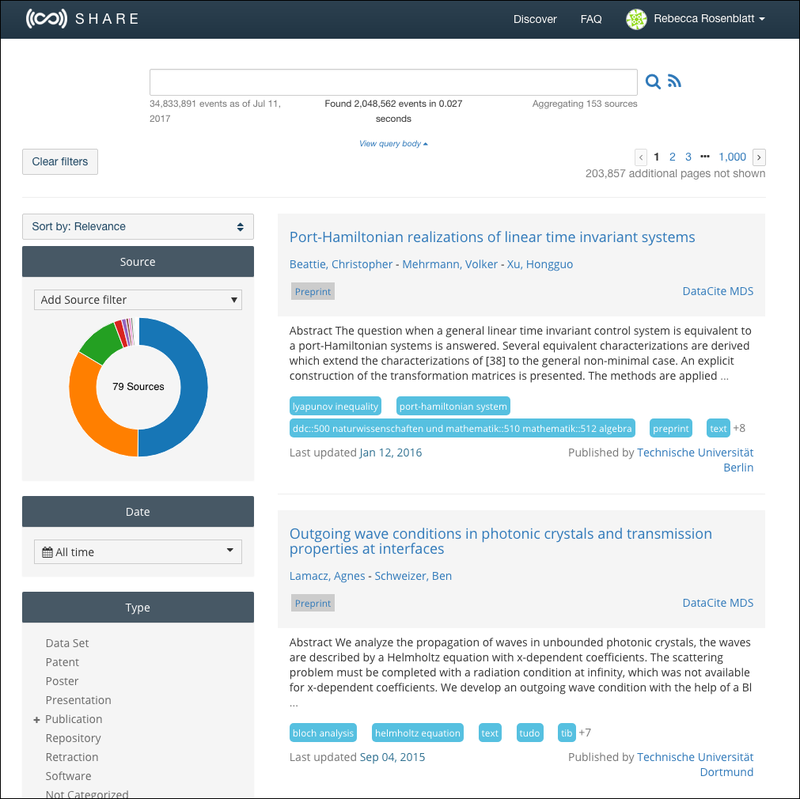 Go to the SHARE landing page, and click Preprints. 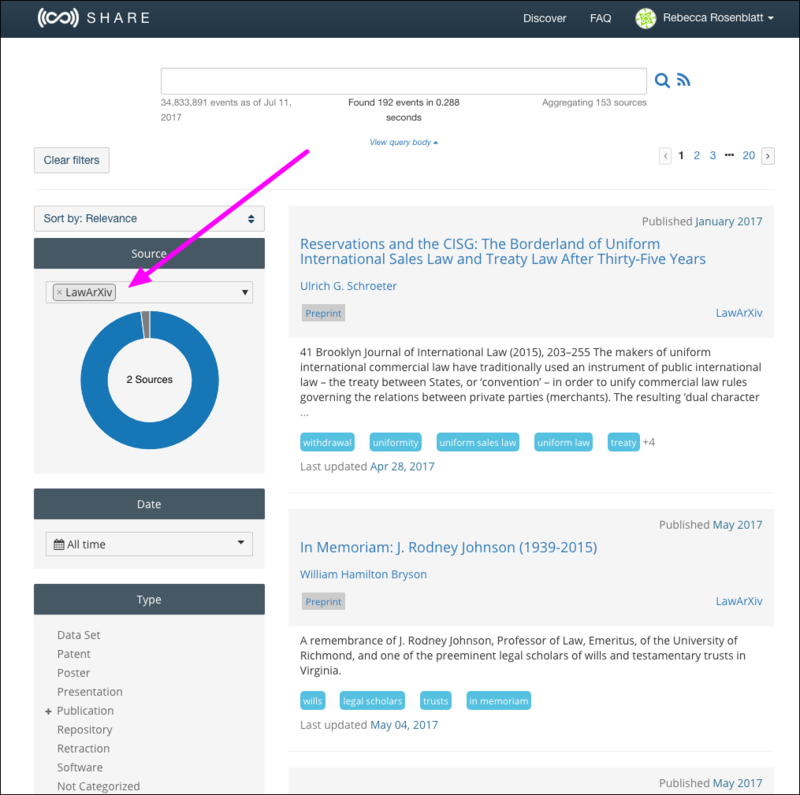 You will be taken to the "SHARE Discover" page where a list of preprints will appear. In the "Source" sidebar, select or type in the source by which you want to filter. Search results will be filtered accordingly. 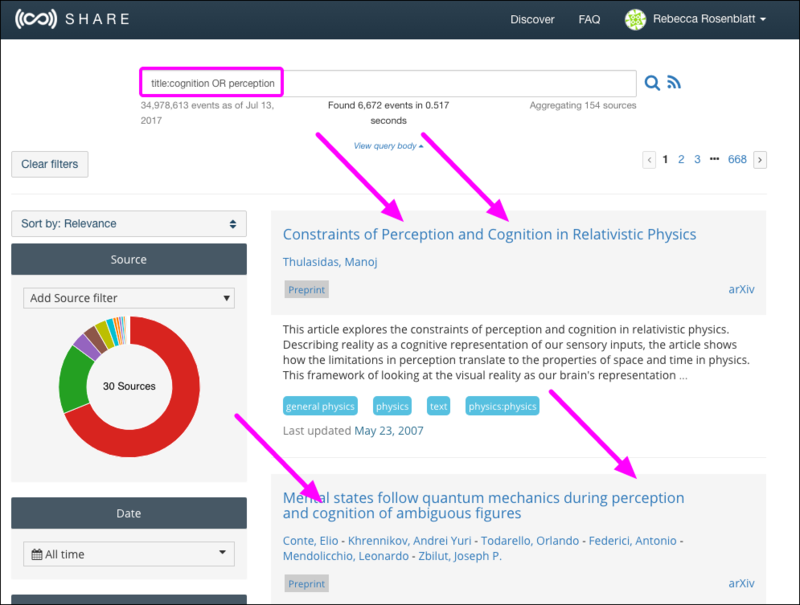 You can refine your search by using Lucene search syntax. See the following examples for help in choosing the correct syntax. Title title:“the influence of reaction conditions on hmf oxidation rate"
Subject subjects: “Engineering" *SHARE does not dispay subject areas; however, searching by subjects will return results of all works within a subject area. Subjects must be inside quotation marks and capitalized accordingly. dates:[2016-01-01 TO 2017-01-01} Use open and closed square brackets to indicate inclusive an inclusive date range. Results will show all works within that time frame. Use an open square bracket and a closed curly bracket to indicate an inclusive date and an exclusive date. Results will show all works starting with the first listed date up until (but not including) the last listed date. You can refine your search even further by including or exluding search terms in and from your query. See the following examples for help in choosing the correct syntax. 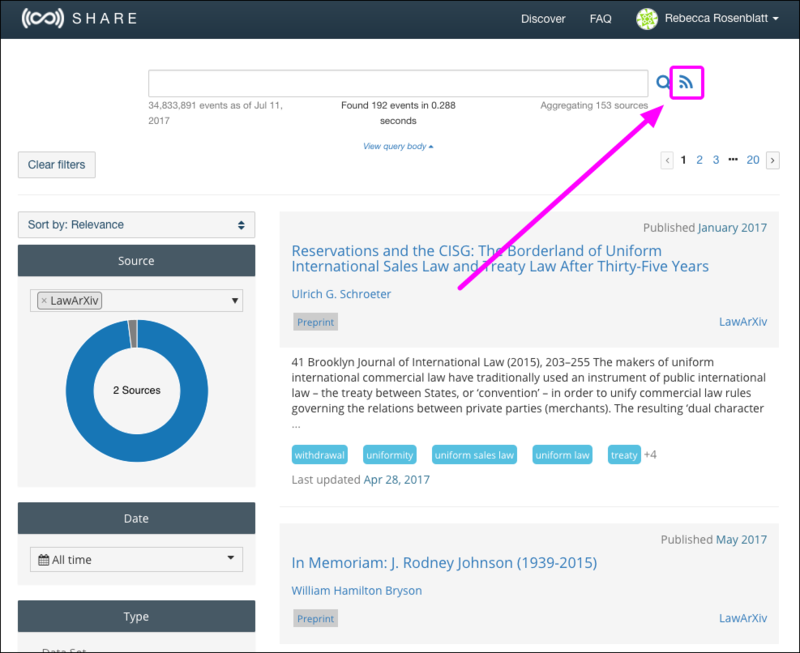 Once you have filtered the search results to fit your area of interest, click the Atom feed button in the top right of the page. 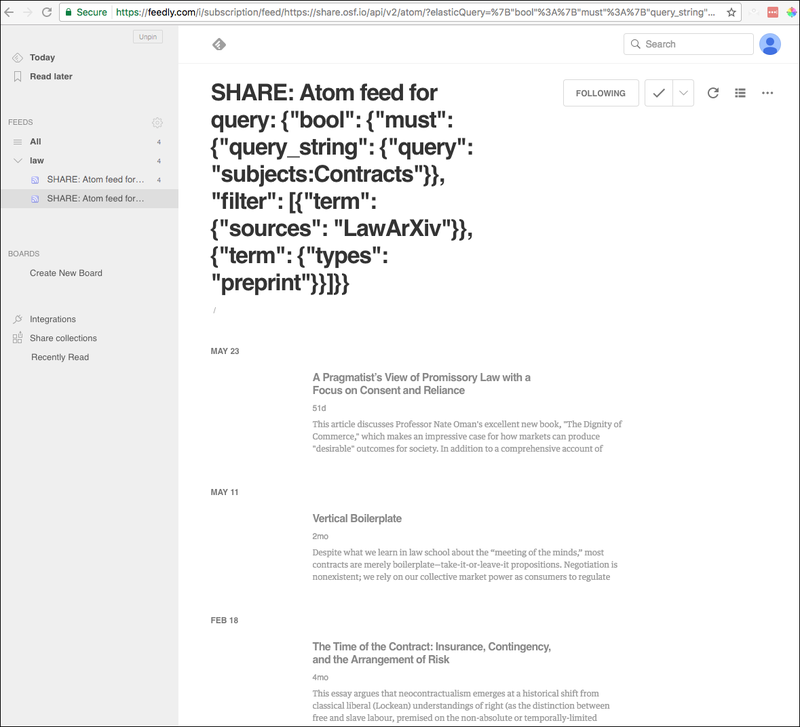 An RSS feed will appear, showing metadata for all results from your search query. On this page, copy the URL from the search bar. 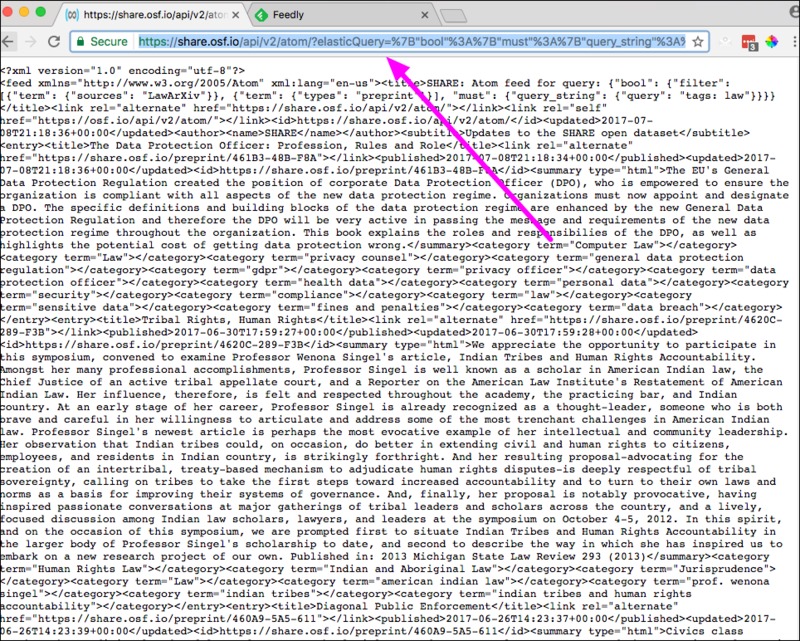 Next, go to your feed reader of choice, then paste in the URL and subscribe to the feed. You can choose to receive email updates through the feed reader whenever new content is added to your area of interest.